Recently, one of my friends asked me: If cactus is a superfood, why isn’t cactus or cactus juice being sold in supermarkets? Indeed, this is a very very good question! In fact, her question came very timely. It came just as I was just starting on this series talking more about advanced processing techniques used in Nutritional Immunology foods. 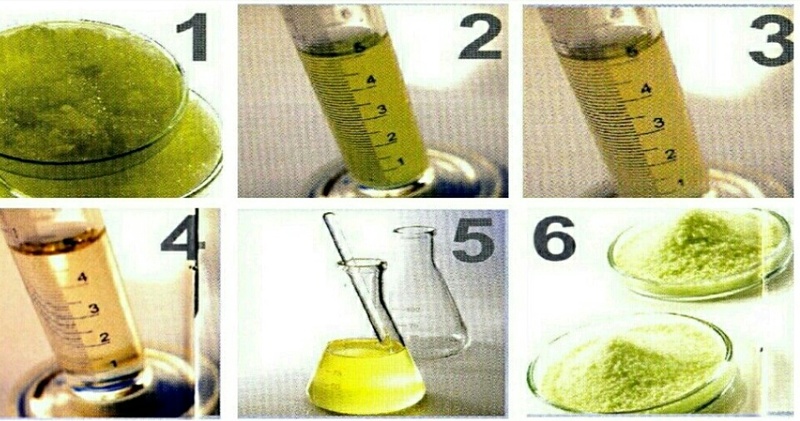 These advanced processing techniques are selected with the main aim to preserve the superfoods’ nutrients, without using any chemical preservatives. This post is the 3rd in a series of another two, one about freeze-drying and another about spray-drying. Previously, I wrote about the amazing superfood cactus and how it benefits us. You can read more here. Before I answer the question…let’s understand more about cactus. It’s a plant which survives very well in the desert, under the hot, harsh sun. It is able to survive, mainly due to the very thick outer skin layer, which forms a very strong protective layer. The outer skin layer is not edible. Attempting to eat it will cause indigestion in our human digestive system. In a very sharp contrast, the edible inner cactus gel is succulent, and contains most of the nutrients for the cactus plant. It, however, is also very very delicate. Once the outer skin layer of the cactus is removed, the inner gel starts to get oxidised very quickly. The nutrients could be gone in just a couple of hours on exposure to environment!! It cannot withstand high temperatures, nor low temperatures. Hence, neither freeze-drying nor high heat drying works for cactus — Nutrients will be gone too! Understanding this about cactus, then one would realise that purchasing cactus from the supermarkets and attempting to cook it in a meal is going to be challenging if the aim is to capitalize on the rich nutrients available. 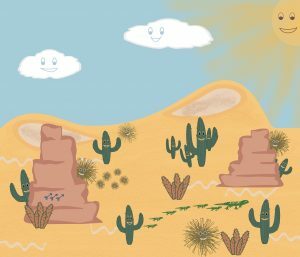 Even to make cactus juice, how is one able to preserve the nutrients? cactus from supermarket. But how can we prepare it to make sure nutrients are kept? So how does nutritional immunology handle this very delicate superfood? 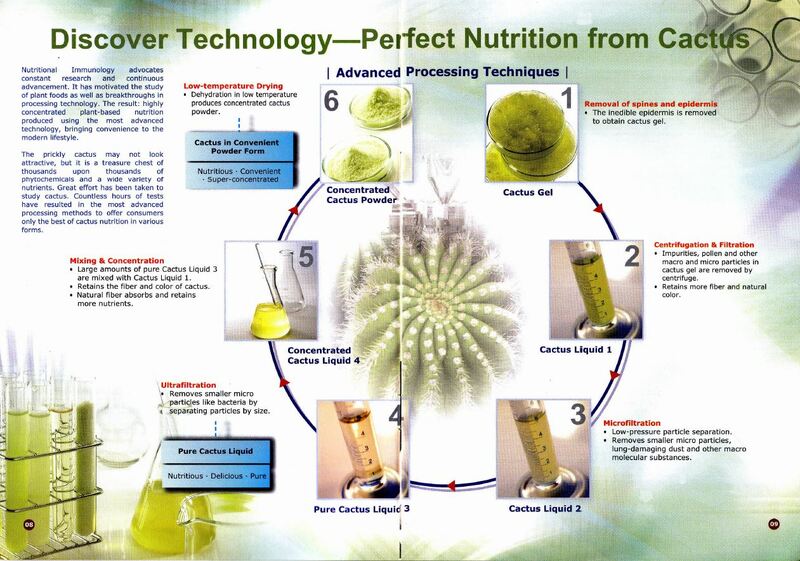 Nutritional Immunology makes use of a combination of advanced processing techniques. Centrifugation & filtration, microfiltration, ultrafiltration, low heat drying. This is done in order to keep the maximum nutrients intact for a delicate superfood like cactus. 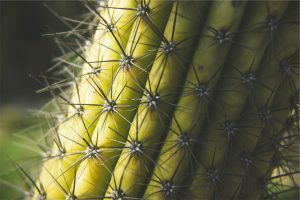 Great effort has gone into research and study of cactus, and selecting the relevant advance processing techniques to concentrate and keep the nutrients in cactus intact. This can only be done by a well-established manufacturer who has a solid background in research and development in the arena of wholesome foods. 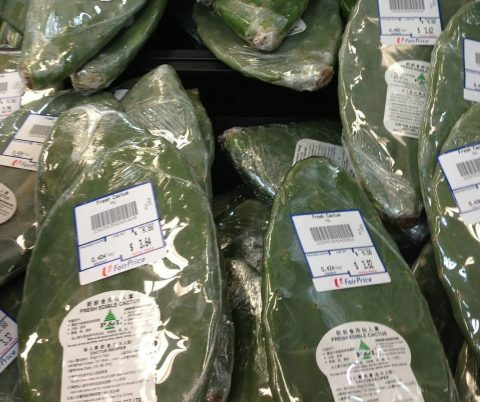 Hence, not any and every manufacturer is able to process cactus to make it into supermarket products. The manufacturer of Nutritional Immunology foods, Extra Excellence, also prides itself on a flawless food safety record over its long history of 30 years. This is accomplished by a very extensive food safety testing process. You can read more about it here. « Previous Post What is Spray-drying? Next Post » Sleep – why does it elude so many today?